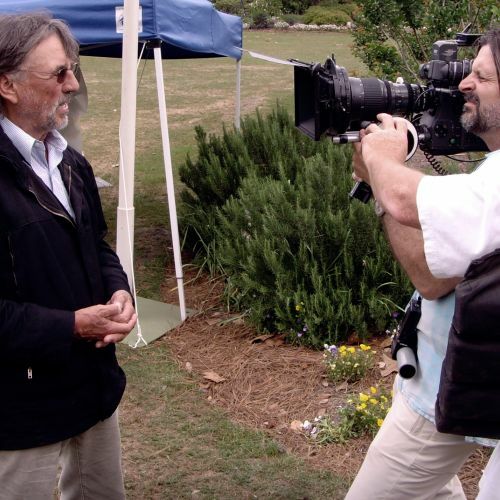 James Chressanthis, ASC, GSC discusses his documentary, No Subtitles Necessary: Laszlo & Vilmos, the influence of László Kovács and Vilmos Zsigmond on the field of cinematography, and their influence on his own development as a director of photography. 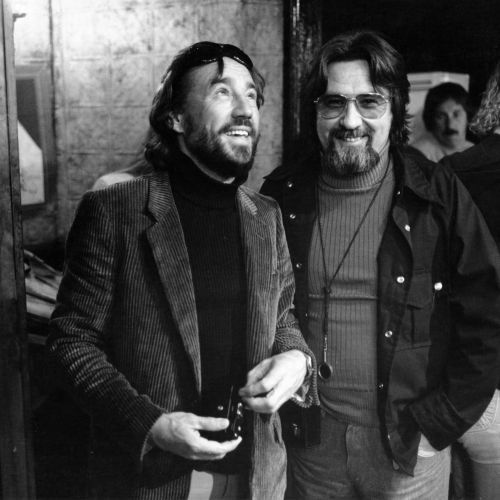 Lifelong Friends László Kovács and Vilmos Zsigmond in the 1970s. 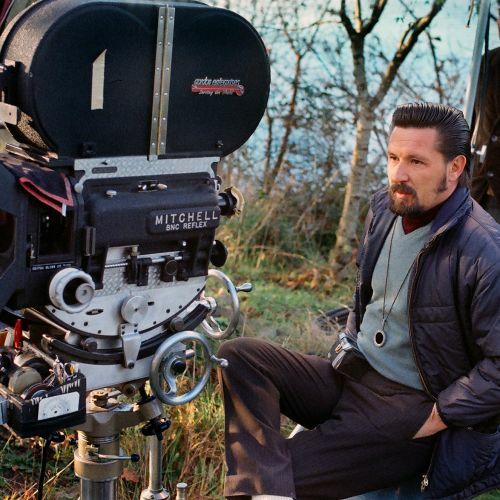 László Kovács behind the camera shooting <em>Five Easy Pieces</em> (1970). 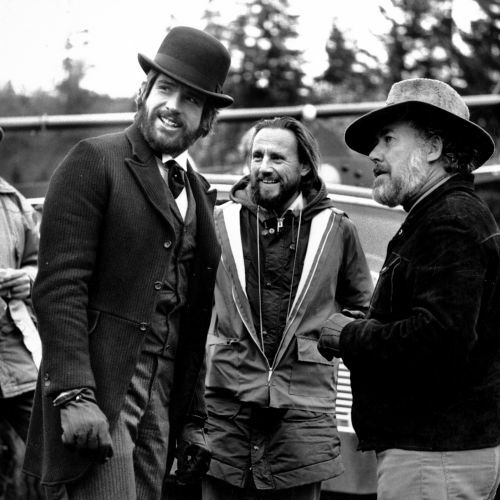 McCabe & Mrs. Miller: Actor Warren Beatty, Vilmos Zsigmond and Robert Altman on the set. James Chressanthis produced, wrote and directed the feature documentary No Subtitles Necessary: Laszlo & Vilmos, which premiered at the 2008 Cannes Film Festival. It traces the careers of two of the most influential cinematographers of their generation: László Kovács and Vilmos Zsigmond. Lifelong friends, the Hungarian expatriates studied cinematography before defecting to the West following the 1956 Soviet takeover of their country, during which they photographed many of the tumultuous events during the invasion. The film chronicles their subsequent careers in Hollywood, with numerous clips and testimonials from collaborators including Peter Bogdanovich, Peter Fonda, Dennis Hopper, Sandra Bullock, Tatum O'Neal, Sharon Stone and Barbra Streisand and many others. A multiple award winner, the film has screened at more than 36 film festivals worldwide. The television version received a Documentary Emmy nomination. Because of this film, Chressanthis was asked to serve as a Cultural Envoy for the United States Department of State in Mongolia and Russia. Since Vilmos Zsigmond’s death in January of 2016 Chressanthis has become a guardian of his legacy, participating directly in such projects as The Criterion Collection’s release of a restored version of the cinematographer’s iconic western McCabe & Mrs. Miller (1971) and director Pierre Filmon’s forthcoming documentary Close Encounters with Vilmos Zsigmond (2016), which recently premiered at the Cannes Film Festival. Chressanthis has been a cinematographer or director on more than 20 feature films and television movies and over 200 hours of dramatic pilots and series for network and cable as well as working in documentary, music videos and mixed media photographic art. Recent credits include The Family for ABC, American Horror Story: Freak Show (with Michael Goi, ASC) and the civil rights drama The Watsons Go To Birmingham. Major features include Urban Legend and additional photography on the Oscar-winning Chicago. He shot the pilot of Ghost Whisperer and was a cinematographer and regular director for the entire CBS series. Chressanthis' cinematography has been nominated for an Emmy twice for Four Minutes and Life with Judy Garland. His intimate verite footage of farm worker leader Cesar Chavez from 1988 and present day recollections formed the core of Richard Ray Perez's documentary Cesar's Last Fast that premiered at the 2014 Sundance Film Festival and is distributed by Participant Media. After studying cinematography at the American Film Institute and an internship with Vilmos Zsigmond, Chressanthis made a breakthrough as a cinematographer while lensing music videos for NWA, Dr. Dre, Hammer and many other West coast hip-hop artists, as well as jazz vocalist Bobby McFerrin, rocker John Wesley Harding and the legendary James Brown. Chressanthis grew up in Philadelphia and eclectically studied physics, engineering, sculpture and photography. He discovered film with Remembrance of a Journey to the Village — the life struggle of shepherd families on an isolated Greek mountainside from the end of winter to the summer wheat harvest. He continues to portray their economic hardship today. When not shooting film and television he creates and exhibits mixed-media painting and collage works. He resides with his family in Topanga, California.